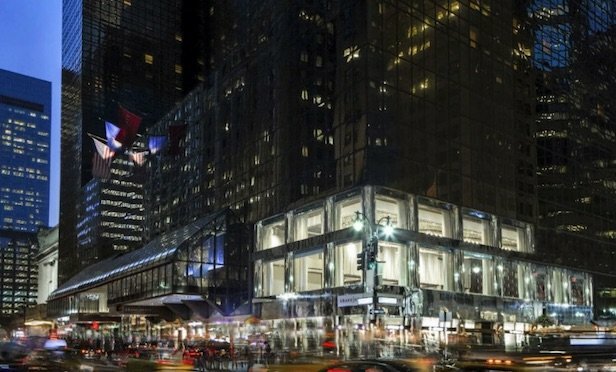 TF Cornerstone and MSD Partners are redeveloping the hotel that’s next to Grand Central Terminal into a 2 million square-foot, mixed-use asset. Grand Hyatt New York at 109 E. 42nd St.
NEW YORK CITY—TF Cornerstone and MSD Partners are redeveloping the Grand Hyatt at 109 E. 42nd St. The Wall Street Journal reported the development group is tearing down Donald Trump’s first major Manhattan development. In its place, they are erecting a 2 million square-foot, mixed-use development including offices, retail, improvements to the public infrastructure and a new luxury Grand Hyatt Hotel. The building is adjacent to Grand Central Terminal.